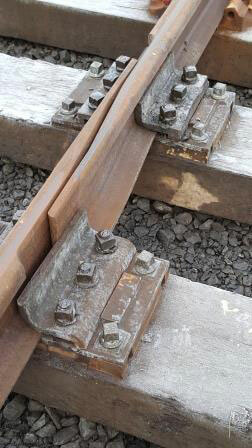 The Permanent Way is the official term for the rail track and track bed, along with the surrounding environment. And it comes in for a good deal of wear and tear, especially when the SVR runs the large engines and long trains that are so popular with visitors. At least half a mile of the SVR Permanent Way requires re-laying each year, but limited finances mean only the most deserving section can be renewed during the January/February shutdown period. 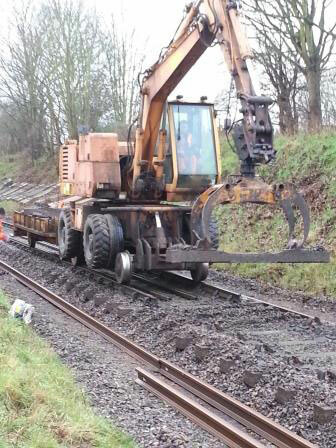 In 2015 a section near Trimpley was completed, and previous projects have included sections through Bewdley Tunnel and between Bridgnorth and Hampton Loade. 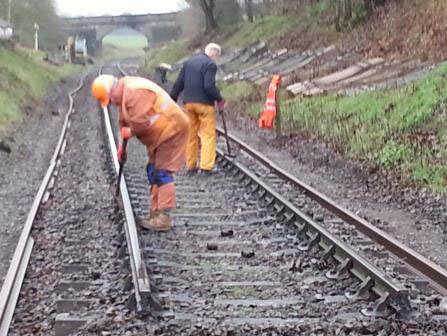 This year, we've re-laid a half-mile section between Bridgnorth and Eardington. Fortunately the SVR Charitable Trust was able to step in with a £30,000 donation. Keeping the Permanent Way in good order is just one aspect of ensuring a sustainable future for the Railway, and it looks like equally substantial donations from the Trust will be vital on an ongoing basis. Can you help maintain the Permanent Way?